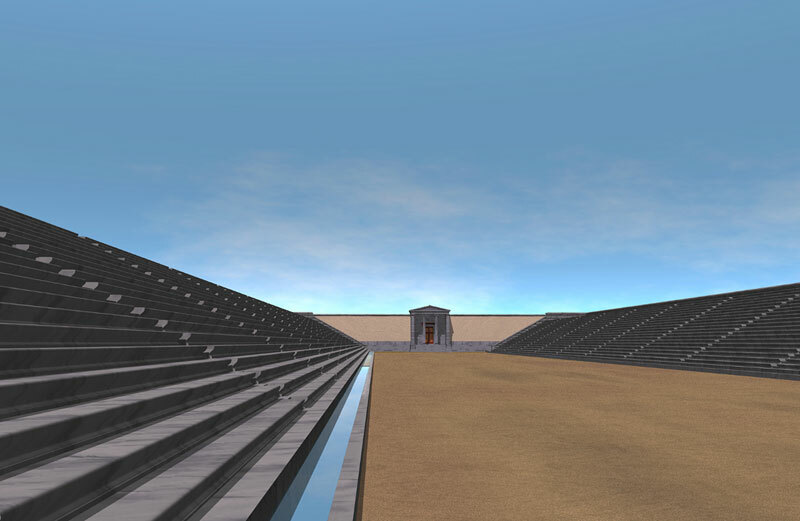 Sponsored by Eumenes II of Pergamon (197-160/159 BC), the Stadium was built on the south side of the Theatre Harbour, as indicated by an inscription from the propylon of the adjacent Gymnasium, which was erected west of the Stadium, immediately after the latter was finished. 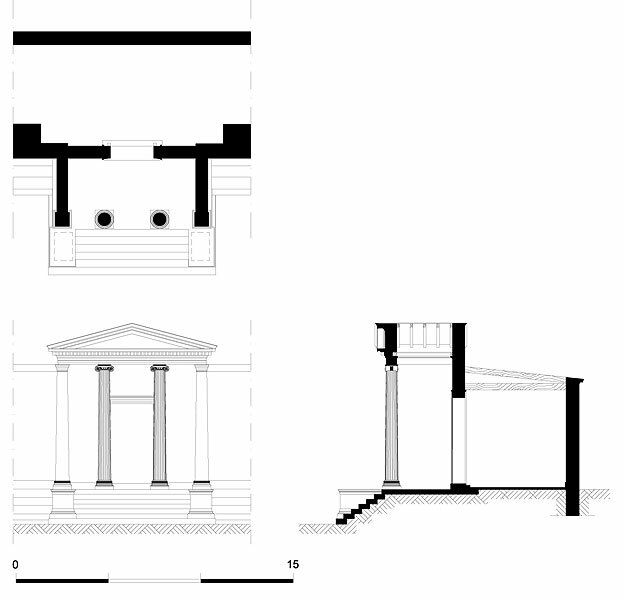 Built in the area of the Classical city that was probably to remain unbuilt, these buildings, as well as the West Agora, were part of a broader project to erect public buildings in order to cater for the needs of the city. The consecutive arrangement of the Stadium and the Gymnasium on an axis is a clear indication of this. The Stadium was a rectangular edifice measuring 192,27 metres (1 stadium), and orientated from west to east.On its long sides, there were banks with twenty rows of seats, which were divided in twelve tiers with a capacity of 14,400 spectators.What differentiated it from other stadiums was that it was opened at both sides, without a sphendone connecting them. The 29.56 metre-wide dromos, that is the main area of practice, was located between the two long sides. The following events took place there: the dromos (1 stadium), the diaulos (2 stadiums) and the dolichos (24 stadiums). Starting points were both on the west and east sides of the Stadium. On the east side there were, from the initial phase, thirteen stone bases perforated at the centre, which supported the wooden poles of the starting point. The two end slabs, as well as the one built on the main axis of the Stadium, had a different appearance from the middle ones. Three circular, stone bases of unequal size bevelled on the back had been placed at the starting point of the west side. The two end bases actually bore carvings for supporting the wooden poles. Initially, there was only one entrance from the Gymnasium propylon. 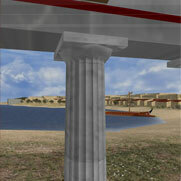 Only in the 3rd century AD was a monumental propylon built on the east side and central axis of the Stadium. 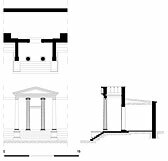 A peculiar apsidal construction in the form of a free stoa, consisting of two parallel rows of Corinthian columns without flutes, was raised on a simple crepis measuring 22.74X3.84 metres. During a second phase, an empty space and a functional staircase were built inside the east end of the retaining wall of the north bank, in order to improve the load distribution of the structure, which had exhibited serious problems of sinking.